Preheat oven to 375 degrees F. In a bowl, toss sliced potatoes, olive oil salt and pepper until well coated. Transfer to a parchment covered baking sheet and roast potatoes for about 30-40 minutes until crisp on the outside and tender on the inside. 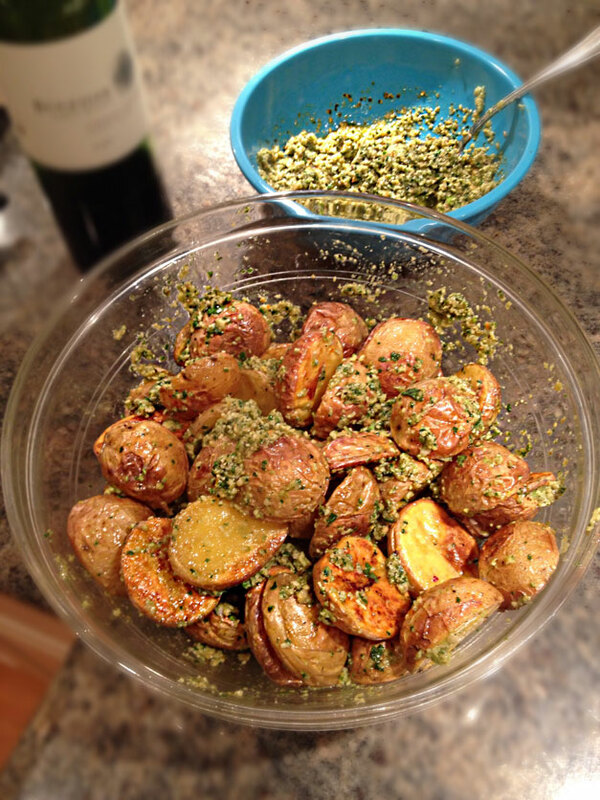 Toss potatoes with about 1-2 cups of pesto and serve warm or room temperature.